Tomorrow, February 18, marks the day of Michelangelo’s death 450 years ago. The city of Florence is celebrating the great genius of our past in several ways, particularly with extra information on Michelangelo at each of the sites in Florence where you will find his work. 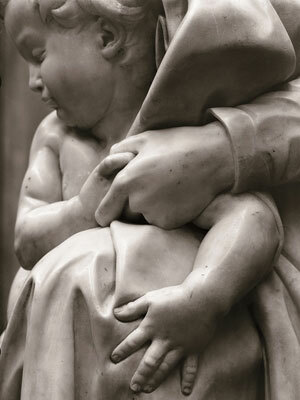 You can follow an itinerary completely dedicated to Michelangelo through our itinerary here. Today, the Uffizi Gallery opened up 2 new rooms right before Room 35, dedicated to Michelangelo. With Greek classical sculpture, from portraits to bas-reliefs and sarcophagi, the rooms contain the classical works of art that inspired Renaissance artists, including Michelangelo. For more details and photographs of the new “green” rooms, take a look here. Tomorrow, the Accademia Gallery celebrates the great artist with the opening of a new temporary exhibition, “Ri-conscere Michelangelo” dedicated to the theme of how Michelangelo has inspired other artists since the 1800s, particularly in photography but in other artistic mediums as well. Photographs have greatly impacted which works of art by the artist our own generation has come to appreciate more than others… think of just how important and well-known the figure of David is in comparison to other works by Michelangelo himself which are not as well known by the general population. Finally, tomorrow, February 18 also marks a special day for the city of Florence itself. 271 years ago the last of the Medici, Anna Maria Luisa, bequeathed all of the Medici family’s collections to the city and thus every year the city of Florence celebrates her memory. Visitors to the Palazzo Pitti tomorrow will be able to meet Anna Maria Luisa at 3pm, 4pm and 5pm and ask her questions to better understand her times and thoughts. Participation is free but bookings are required by calling 055-261-6056. You can take part in the celebrations just by taking advantage of FREE ENTRY into all of the city museums (except for Santa Maria Novella), Palazzo Vecchio and the Medici Chapels for the entire day. The Medici Chapels, which usually close at 1:50pm, will remain open until 5pm. Enjoy the day at the museums!